RAAB is a free software package for data entry and analysis of rapid assessment of avoidable blindness surveys. The package contains Windows software, supporting documentation and training materials. 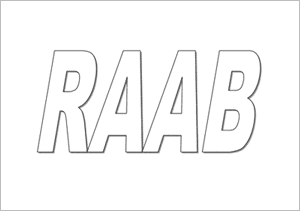 Currently there are two versions of the RAAB package: RAAB5 and RAAB6. Please read the text below before downloading to ensure you install the version that is best suited to your needs. Features in RAAB5 include: Summary reports on key outputs, optional Diabetic Retinopathy module plus supporting materials, Spanish language version, improved survey and IOV forms and support for Windows Vista, 7 and 8. RAAB5 also includes tables on functional low vision: people aged 50+ with best corrected VA<6/18 to PL+ in the better eye, which cannot be treated anymore. RAAB6 has an additional level of visual acuity of VA<6/12. For this, all coding, manuals, survey forms and slide sets have been updated. RAAB6 has all the functions of RAAB5, plus VA < 6/12. This means that RAAB 6 has no backward compatibility: you cannot run any data files generated in previous versions of RAAB in RAAB6 software. Therefore, RAAB5 software is still required to provide that backward compatibility. Published: RAAB6 and RAAB5 updated September 2015. Good planning and organisation are vital for success when carrying out RAAB surveys. We strongly advise you to co-ordinate with a certified RAAB trainer when planning a RAAB survey. The International Centre for Eye Health maintains a list of certified RAAB trainers on its website.